The remains of an old swoop track, Brejik's Run is named for Milos Brejik, a famous Tarisian swoop racer who turned scavenger after the destruction of Taris, using his swoop skills to quickly forage and deliver supplies to the few unfortunate survivors of the bombardment. Brejik's Run has had many occupants over the centuries, as its large overhangs make good shelter from the harsh elements, but it currently hosts a Republic settlement and outpost--one of the earliest attempts to tame and rebuild Taris. The Brell Sediment refers to a large area of Tarisian ruins dominated by a massive acidic lake and a former chemical plant. It gets its name--somewhat ironically--from Ark Brell, a leading environmentalist on Taris in the days before its destruction. Before the bombardment, Ark Brell set up several water purification and waste disposal plants on Taris, with the aim of turning the waste from Taris's factories into alternative fuel sources and minimizing the waste produced by the massive city-world. Legend has it that the collapse of one of his factories during the bombardment created the acid lake, although present rumor suggests that other, less well-intentioned groups on Taris may be the cause. The Republic cruiser Endar Spire was shot down over Taris during the Jedi Civil War in an attempt by Darth Malak to capture the young Jedi Bastila Shan. This event led directly to Taris's ultimate destruction, securing the ship's place in history. Over the centuries, the Endar Spire's husk has become a shelter to many different groups on Taris, including surviving settlers, pirates and scavengers. Its internal systems are believed to contain a bounty of information and useful materials to anyone with the will and ability to recover them. After the Treaty of Coruscant, the Republic set out to rebuild the demolished planet Taris and forge a symbol of renewed strength. As the operation grew, the Olaris Reclamation Base rose from the ashes and Republic forces tamed the surrounding jungle. But progress stalled after repeated setbacks in Taris's hostile wilds. It wasn't until the arrival of Governor Saresh that Republic reconstruction finally took hold. 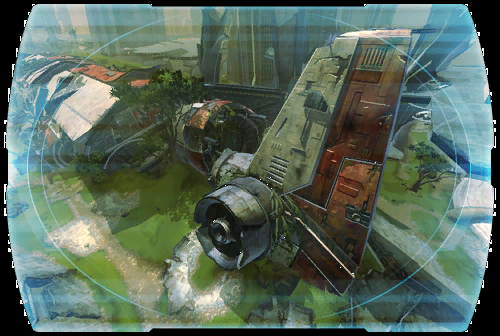 Through sheer will and ambition, Saresh turned the reclamation around and established the Republic Resettlement Zone. As the heart of the reconstruction, this zone houses the tens of thousands of machines, administrators and soldiers that make the reclamation possible. Although Governor Saresh has since relinquished her post on Taris, the Republic Resettlement Zone still stands as a haven for the Republic and a sign of the rebirth to come. The Sinking City is where the heart of old Taris collapsed into the world below during the bombardment. Taris's most lively business and cultural districts have become a morass of urban decay. The ruins of Dynamet General Hospital, as well as massive building plates that once supported towering skyscrapers, provide shelter for rakghouls, pirates and scavengers. But the Sinking City promises to rise again--several attempts have been made to begin new construction in the area, and the Republic is focusing its reconstruction efforts on returning Taris to its former glory. Before the planet's destruction, billions of citizens visited Taris's transport stations daily to quickly travel across the massive city world. Speeders ran on schedule and trams hauled freight and passengers safely to their destinations. As Taris's alien population took to the Lower City, Transport Station Five was built to serve their expanding needs. When the planet was bombarded in the Jedi Civil War, transport stations on the upper levels of Taris were incinerated and turned to rubble. Now only the ruins of Transport Station Five remain intact, a ghostly reminder of a planet once teeming with life. Swampland has overtaken much of the area now called the Tularan Marsh. The origin of the name is unknown--before the bombardment, the Tularan Skyway was a major thoroughfare through the industrial zone surrounding one of Taris's primary power plants, but who or what it was named after is a piece of history lost in the rubble. Now the area is infested with rakghouls and pirates, and only a few intrepid representatives of the Republic venture this far into the unknown, untamed wilds of Taris. Taris was once a city-world, home to a planetary metropolis. Three centuries ago, however, it was bombarded by the great Darth Malak and left a toxic ruin. The years since have not been kind to Taris, as vegetation and animal life struggle to gain a foothold in shattered skyscrapers and habitats. The Republic began to recolonize Taris less than a decade ago, aiming to make it into a symbol of Republic hope and steadfastness. In response, the Empire is mobilizing troops and beginning a full-scale assault. Early reports speak of fierce resistance from the Republic, as well as natural hazards in the form of wildlife and the mysterious "rakghoul plague."